We’d love your help. Let us know what’s wrong with this preview of Sartoris by William Faulkner. Portrays the decay of the Mississippi aristocracy following the social upheaval of the American Civil War. The 1929 edition is an abridged version of Faulkner's original work. The full text was published in 1973 as Flags in the Dust. To ask other readers questions about Sartoris, please sign up. Recommended to Lawyer by: Miss Maxine Lustig, Lustig's Book Store, Tuscaloosa, Al. I graduated from the University of Alabama in 1973. I went there intending to become a professor of history. I changed my mind during a lecture my second semester in the History of Western Civilization when a college athlete began snoring behind me as one of my favorite professors was earnestly addressing the closing days of World War II. When I completed college, I had a BA with a major in psychology and a double minor in English and Latin. Two beloved Classics Professors were urging me to enter the Graduate program at the University of Mississippi. I had been awarded the W.B. Saffolds Classics award for three years. I would have probably taken it the fourth year, but I finished my degree requirements a semester early. As I had decided not to be a history professor, I also decided I didn't want to be Mr. Chips. I also decided I didn't want to be a psychologist. The vagaries of youth and the arrogance of it can be astounding in retrospect. I became a lawyer instead. Damned if I didn't try to be Atticus Finch and Gavin Stevens all rolled into one churning burning trial attorney. And I did that as a prosecuting attorney for almost twenty-eight years. I drove home today from Oxford, Mississippi. I visited the Classics Department I didn't attend and felt a slight tug of regret. Actually, it was more than slight. As everyone experiences at one time or another, I wondered, "What if I had..."
Before I left, I went to the Faulkner Room in the John Williams Library on the Campus of the University of Mississippi. There, in a beautiful wooden case, was the Nobel Prize awarded to Faulkner in 1950. Beneath that were shelves of pristine first edition, first printings of all his works. My eye was drawn particularly to a beautiful red volume with bold horizontal black stripes. In a blank field of red in bold letters was "Sartoris." In a smaller field, in smaller letters was the name "William Faulkner." There is nothing to indicate what appears within the pages between the covers. There is nothing to judge by it. Nor, I imagine, could any prospective buyer of that book in 1929 anticipated that what was contained inside it was the creation of a new world. Horace Liveright, had first dibs on Faulkner's novel. Faulkner's title was Flags in the Dust. Liveright's firm had published Faulkner's first two novels, Soldiers' Pay and Mosquitoes. However, Flags in the Dust logged in at nearly six hundred pages. Liveright read it, didn't like it, rejected it, and advised Faulkner not to seek publication anywhere. Liveright's criticism was it was too big, too diffuse, it lacked an overall plot. Forget it. Trash it. Faulkner was crushed. Faulkner's attempt to introduce the world of Yoknapatawpha County became a struggle of frustrating rejection. 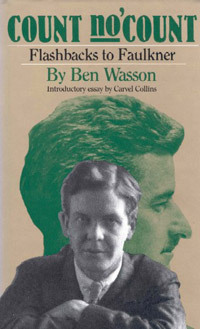 After Liveright's stunning refusal, Faulkner turned to his agent, Ben Wasson in New York. The news wasn't good. Eleven publishers. Eleven rejections. However, Wasson was persistent. 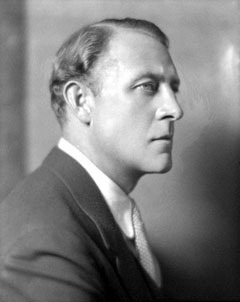 He showed the manuscript to Harrison Smith an editor at Harcourt Brace. Smith liked it, showed it to Alfred Harcourt who agreed to publish it provided it was edited into a manageable size and that Faulkner wasn't the editor. Wasson agreed to do the editing for Fifty Dollars. Faulkner came to New York. The contract was signed. Faulkner kept his nose out of Wasson's editing. He passed the time working on a new novel, again set in Yoknapatawpha County. It would be The Sound and the Fury. Flags in the Dust became named Sartoris. Who or how they came to pass has been lost to literary history. Faulkner dedicated Sartoris to Sherwood Anderson. "To Sherwood Anderson through whose kindness I was first published with the belief that this book will give him no reason to regret it"
Each year I am drawn to William Faulkner country. I have been there so many times. With each visit, I discover a little more about the man and the people of the land that held such influence over him. Walk into Rowan Oak and I still feel his presence. How can you not? There is his study, his library. The books on the shelves he built himself when he bought what was known as the old Bailey Place in Bailey's Woods, down the Taylor Road. The double rows of towering cedar trees almost obscure the house from the entrance to the old house. When reading Faulkner, it is hard to tell where the history, the legend ends, and the fiction begins. That is especially the case when considering Sartoris, Harcourt Brace & Company, New York, 1929. Nothing could be truer than the words of William Faulkner at the University of Virginia when he was the writer in residence there. What a debt of gratitude the world owes to Sherwood Anderson who met the young William Faulkner in New Orleans. Basically he told him his first two novels were failures because he had attempted to write of a world of which he was not a part. It was Faulkner who created Yoknapatawpha County, but it was Anderson who planted the seed that yielded the crop of Faulkner's Canon. You cannot find Faulkner's County just walking the Square in Oxford. His grandfather's bank building is still there, now a clothing store called Duvall's. The old man conducted business from a chair, leaned back against the wall by the bank's open door during the hot Mississippi summer afternoons. Mack Reed's drugstore, where Faulkner checked out his mystery novels is gone. Even the sign over the store front that now houses a trendy boutique leaves no evidence that Reed or Faulkner were ever there. Down Jefferson street there is the cemetery where Faulkner and some of his family are buried. Their deaths outgrew the original family plot. Faulkner, wife Estelle, a stepson, and daughter Alabama are some distance away. Nor is there any evidence that his infant daughter lies near him, her marker stolen years ago. But in the original family plot, there is Dean, killed in a plane crash outside Pontotoc in 1935. There is brother John, also a writer. There is mother Maude, father Murry, his grandfather and grandmother J.W.T. and Sallie Faulkner. His grandparents' obelisk looms over that plot. And it is in that image that the ghosts of Faulkner's past begin to take shape in the pages that tell the story of Yoknapatawpha County. Yet, that is not enough. You must go further. You must walk the streets of Ripley, Mississippi, the home of his great grandfather. Here, too, is a statue of a man. 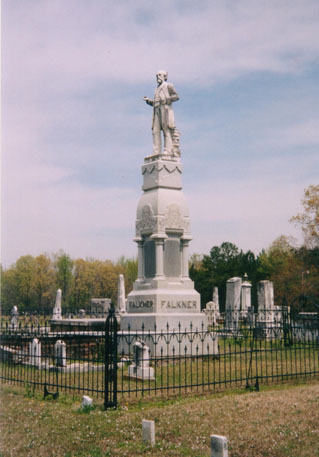 Twenty two feet tall, the Old Colonel William Clark Falkner stands in formal attire. Falkner, who killed a man with a Bowie knife when he was twenty-three. Falkner, who shot and killed a man when he was twenty-five. Falkner, gunned down in another courthouse square by a political opponent he had bested in an election. Falkner, who had been a cavalry officer for the Confederacy. Falkner, who built a railroad across northern Mississippi. The origins of Faulkner's County are there. The patriarchs of the Sartoris family begin there. 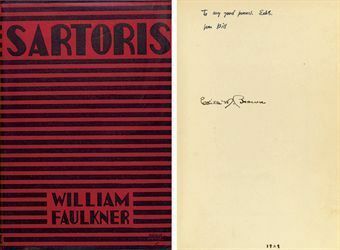 Even Faulkner knew he had begun the creation of an entire world when he submitted the manuscript of Sartoris for publication. He knew it was special, something new, something not ever seen before. Faulkner wrote to his publisher, Horace Liveright, "At last and certainly, I have written THE book, of which those other things were but foals. I believe it is the damdest best book you'll look at this year, and any other publisher". Joseph Blotner,Faulkner: A Biography, two volumes, Random House, New York, 1974. 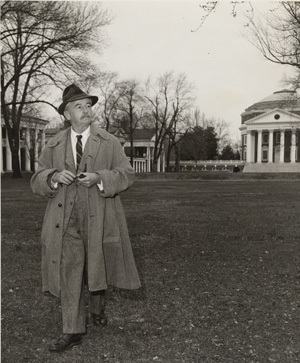 Young Bayard Sartoris returns to Jefferson after World War One. He and his twin brother John had been fighter pilots. John didn't make it home. Young Bayard lives in the shadow of the Old Colonel Bayard Sartoris who had fought in the Civil War. Old Bayard, his grandfather, runs the bank in Jefferson. Whether it is the death of brother John, or the folk heroism of the Old Colonel that serves as a ghost of the past whose challenge he could not meet, whether it is the death of his young wife and child, Young Bayard is a member of what will become known as the "Lost Generation." Young Bayard lives wildly and recklessly, courting death with increasingly dangerous behavior. Without question Young Bayard is not only the sum of his past, but the past of his forefathers. Young Bayard's return to Jefferson cannot last. Not even his marriage to Narcissa Benbow and the upcoming birth of another child will hold him at home. Perhaps the only way he can escape the past is with his own death which he increasingly seeks in his destructive behavior. Yet, Sartoris is not just the story of one family. Faulkner weaves in character after character with whom we will become more familiar as Faulkner returns to them from short stories to novel after novel. Beginning with this novel, Faulkner uproots the cornerstone of the aristocracy following the American Civil War. Faulkner maps out a changing South, caught in the past, but always trying to escape it. This is the turning point of Faulkner from fledgling writer to Faulkner, the Modernist, on his path to Sweden and a Nobel Prize, two Pulitzers, two National Book Awards, and a Legion of Honor for good measure. Cleanth Brooks rightly compared Sartoris to T.S. Eliot's The Wasteland. William Faulkner: The Yoknapatawpha Country, New Haven, The Yale University Press, 1963. This year marks the 100th Anniversary of William Faulkner's death. The Annual Faulkner Conference will begin on the precise date, July 6, 2012. I plan to return to Faulkner Country for this conference. Not only will I attend, I'll be a student this year, enrolled in a class devoted to teaching Faulkner to High School Students. Will I become a teacher? I'm not sure. There's a lot to think about. But I hear Gavin Stevens whispering in my ear, "The past is never dead. It's not even past." Edit: This review is shared for the benefit of goodreads group "On the Southern Literary Trail," and to draw any other readers to Faulkner's first Yoknapatawpha County novel. "On the Southern Literary Trail"
My goodreads friend Sue Drees and I became involved in a discussion about William Faulkner and whether to read Sartoris or Flags in the Dust. Random House finally published Flags in the Dust in 1973. Finally, Faulkner had gotten his wish, though dead since 1962. We decided on a buddy read of the manner in which Bill Faulkner intended we be introduced to Yoknapatawpha County. Neither of us was disappointed. I've often been asked where does one begin reading William Faulkner? My original answer was Sartoris. Now, it is Flags in the Dust. Today, Faulkner's original creation is considered the standard version. That's the version you'll find in the Library of America. I did not become a teacher in the formal sense. It is an ironic commentary on the values our society places upon things. Having lived a life of public service, I earned a State Employee's retirement. To become a teacher in my home state, I would have to give up my State retirement as a career prosecuting attorney. I could not live on a teacher's salary, as much as I would like to teach. I believe I would be a good one. However, the good people of my State do not believe in fighting for the worth of a teacher's services, though they believe in their children's receiving a good education. Life's funny that way, isn't it? A simple matter of self interest on my part as well as grown ups with children. Folks my age who've done their time as parents. All the legislators who promise no new taxes. A state with the lowest property taxes in the country. Oh, I suppose I could practice private law, but that's not where my heart is. So I am done with apple picking time. I maintain a "Special Law License," which allows me to return to practice should I decide to do so. However, I am content. And in my own way, if I should happen to place a book in the hands of some reader through the words I write, why...I have taught a little something. And that's quite enough for me. Thank goodness Faulkner did not write this. But, had this reader encountered the very same string of words in Sartoris, he would not have blinked, nor rubbed his chin, not shook his head, nor headed for another beer. No, he would have just kept reading, possibly underlining the phrase with a “?” nearby. And continued with the drink he already had poured, as proof against shock or dismay at that task of consuming the novel in hand. The reader was disappointed in this novel, though most of that indefatigable disappointment was due to the foolish misapprehension the reader had dragged with him through that time preceding the actual reading in which, unbeknownst to him the reader, had irrevocably doomed him to consider that this book, Sartoris, had been written in the days and months following the publication of The Sound and the Fury – this ignorance on the reader’s part, unable to be blamed on any party other than the pathetic reader himself, had not unnaturally led that to-be-disappointed reader to judge, soon after the experience of the reading had so confidently begun, that the novel seemed to represent a regression, rather than the hoped-for progression of the author’s sublime narrative powers. In fact, Sartoris was published in January of 1929, and was an abridged version of a top-heavy novel Faulkner had penned in 1927 called Flags in the Dust. This novel had been rejected by the publisher of his first two novels (Horace Liveright) as too diffuse. In late 1928 Faulkner, giving up on editing the novel himself, asked his agent to find a publisher, any publisher, while he, Faulkner, began writing The Sound and the Fury. This his agent was able to do by personally paring down the novel by about 25% and selling it to Harcourt Brace. Thus the book we know as Sartoris came to be delivered to the public. (According to Wiki, “no one knows who changed its name”.) The Sound and the Fury, the real first novel of the mature Faulkner (as I think of it, at any rate), came out in October of 1929. Thus, coming to know the correct and not revocable path of events surrounding the books, the reader was disabused of some not-minor amount of disappointment. And, very late in the novel, the reader comes upon the following, which he recognizes as a sign to the writing style Faulkner would display in the great works which followed. And Narcissa would sit, serene again behind her forewarned bastions, listening, admiring more than ever that indomitable spirit that, born with a woman’s body into a heritage of rash and heedless men and seemingly for the sole purpose of cherishing those men to their early and violent ends, and this over a period of history which had seen brothers and husband slain in the same useless mischancing of human affairs; had seen, as in a nightmare not to be healed by either waking or sleep, the foundations of her life swept away and had her roots torn bodily from that soil where her forefathers slept trusting in the integrity of mankind – a period at which the men themselves, for all their headlong and scornful rashness, would have quailed had their parts been passive parts and their doom been waiting. Sartoris impresses as a novel with a design almost along the lines of Ray Bradbury’s Martian Chronicles – in that the former seems to be, as the latter is, a novel thrown together by arranging a number of episodic short stories into a loosely knitted longer narrative. We could even suggest that a theme of both “novels” is man’s arrogance (using the gendered term narrowly – “the male’s arrogance” – certainly in the Faulkner half of the comparison). But for Faulkner, to this arrogance must be added the male’s suffering - suffering often a result of the arrogance. As for the majority of Southern mankind (Negroes, women both white and black) – these are often the indomitable ones, toiling, suffering on their own part via that already mentioned arrogance, yet still soothing and attempting to assuage that suffering not their own but that of the others. Through these not uninteresting vignettes, it is these aspects of Southern life, both before and after the great War of the States, that begin to be discernible in Sartoris. Aplauso de pie y ovación del coliseo. Mi segunda aproximación a la obra de Faulkner me entusiasma todavía más que la primera. Si Luz de agosto me había dejado electrizado, Sartoris consiguió regalarme cuatro días intensos en la fuerza de su brutalidad y su belleza. La trama, zurcida en una novela familiar abarcando la zaga de tres generaciones, no deslumbra en eventos increíbles, en grandiosos actos. Es sencilla, cotidiana, pero descansa tranquila en personajes tan bien elaborados, tan maravill Aplauso de pie y ovación del coliseo. Mi segunda aproximación a la obra de Faulkner me entusiasma todavía más que la primera. Si Luz de agosto me había dejado electrizado, Sartoris consiguió regalarme cuatro días intensos en la fuerza de su brutalidad y su belleza. La trama, zurcida en una novela familiar abarcando la zaga de tres generaciones, no deslumbra en eventos increíbles, en grandiosos actos. Es sencilla, cotidiana, pero descansa tranquila en personajes tan bien elaborados, tan maravillosamente conseguidos, que cada línea reposa en una vitalidad plena. Leer Sartoris es habitar por turnos un puñado de almas con sus conflictos y sus brillos, y habitarlas con cada fibra del propio yo. Una experiencia así, donde la catarsis se permite con cada personaje retratado, sólo es posible gracias a la belleza. Faulkner consigue una música capaz de hacer bailar a los osos (a sabiendas, como diría Flaubert, que eso es lo máximo a lo que podemos aspirar con la escritura). Cada página suya es una lección de estilo. Cada prosopopeya está elaborada con la maestría del observador y el ingenio del inventor. Es soberbio encontrar grillos y ranas que cantan como un idiota tocando la flauta un medio día de verano; o murciélagos cuyas alas están hechas de penumbra y de silencio. En el fondo, esta es una historia sobre la fatalidad, sobre la idea del destino prescrito por nuestros ancestros en el núcleo de nuestra vida. La zaga de los Sartoris está fincada en el orgullo y la muerte, y asistimos a las consecuentes escenas de ese sino milenario. Veremos jóvenes en búsqueda de un final espectacular, y viejos resentidos con la posibilidad de morir en cama. Veremos, sobre todo eso, un canto a la vida y al cariño cuando no pueden ser expresados, cuando se creció para mirarlos con el desdén de los conquistadores por el terreno conquistado. No es la novela, sin embargo, una narración oscura. Derrocha luz, Faulkner. Derrocha una capacidad para derramar sobre las cosas y las acciones, incluso las irreflexivas y viles, la potencia creadora de un sujeto en búsqueda de la eternidad, ya sea en las posibilidades naturales de conexión con la tierra, o en las confrontaciones con su propia finitud. Esa potencia de los personajes es, creo, el mayor signo de la obra. Every time I finish a Faulkner novel, I find translating the experience into words difficult. There's something about this man's writing that leaves me wondering just how he did it. It's been a while since I've read Faulkner and as I moved through the pages of Sartoris, I realized I had almost forgotten just how beautifully the man writes. He creates such a vivid, beautifully constructed world within the reader with his prose it's hard not to get lost within the book. Many people today tire of lo Every time I finish a Faulkner novel, I find translating the experience into words difficult. There's something about this man's writing that leaves me wondering just how he did it. It's been a while since I've read Faulkner and as I moved through the pages of Sartoris, I realized I had almost forgotten just how beautifully the man writes. He creates such a vivid, beautifully constructed world within the reader with his prose it's hard not to get lost within the book. Many people today tire of long passages of description which saddens me beyond comprehension. It's something that I will forever love in writing and something that Faulkner perfected with such incredible precision. Sherwood Anderson knew Faulkner would be a long-remembered and incredibly talented writer. He had to know. But, if he didn't, I'm sure Sartoris proved it to him. Not only was Faulkner's prose so beautifully composed between the covers, but, in this book, I found some of the most incredible characters I've ever met. Namely young Bayard Sartoris and old man McCallum. Some may find it odd that old man McCallum rates as one of my favorite characters since his presence is minimal in the book. However, the mention of him is the only thing minimal about him. His presence is so incredibly domineering and legendary even in his small role. It's almost as McCallum represents the foundation of the great American men that came before him and he is one of the last to remain. Or, maybe I'm just rambling. There is only one thing I could find that may be a negative within these pages, though it wasn't to me. Faulkner's portrayal of the black servants throughout the novel could be very off-putting to any reader who doesn't consider the time and point of view from which this book is written. The phonetic "shuck-n-jive" language that Faulkner limits them to could be seen as challenging at the least and down right racist at worst. He also portrays many of them as stupid and unclean, though this is only superficial to the astute reader. Most times, as in the case of Simon especially, the black servants seem to be one step ahead of their white employers and manage to outsmart them or speak simplistic yet learned wisdom to them. Just remember the point of view this book is being written in (remember we're seeing it mostly through the eyes of the white aristocracy of the South) and the time. When everything is considered, Faulkner's portrayal of the servants works extremely well within the confines of the novel. I don't know if this will be my favorite Faulkner novel yet as I've only read Pylon and As I Lay Dying, but it surely ranks high on my list of favorite novels in general. Violent modernity, in the form of automobiles, planes and The Great War (and even a touch of "the meaningless pandemonium" of the jazz age) intrudes on the settled agrarian world of the Old South, where Jim Crow ensured that everyone knew his place. Not that the men of the Sartoris family, all endlessly named and re-named John and Bayard, need any particular innovations to live recklessly and die young, supported throughout by the "passive courage" of their womenfolk. This is Faulkner's third, th Violent modernity, in the form of automobiles, planes and The Great War (and even a touch of "the meaningless pandemonium" of the jazz age) intrudes on the settled agrarian world of the Old South, where Jim Crow ensured that everyone knew his place. Not that the men of the Sartoris family, all endlessly named and re-named John and Bayard, need any particular innovations to live recklessly and die young, supported throughout by the "passive courage" of their womenfolk. 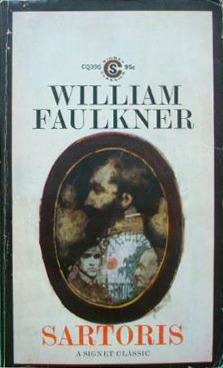 This is Faulkner's third, the one where he is said to have hit his mature style and this publication is apparently a drastically edited version of a manuscript that was published at full-length and posthumously as Flags In The Dust. My copy, a 50 cent Signet paperback from 1958, with a cover design trying hard to make it look like a potboiler, has an introduction by mid-century novelist and book reviewer Robert Cantwell (not to be confused with the American Studies professor and bluegrass scholar of the same name). i got confused at first... Faulkner suddenly throws out so many different Sartoris that it got kind of hard for me to keep up with everyone, but as novels unfolds, little by little things start to make more sense, until I realized it wasn't at all about the individuals in this particular family, but on the weight of its name. To be proud and ashamed of a name, to carry the weight of it. The first novel of his I read, and the first he set in Yawknapatapha County, and maybe the third he wrote, Flags in the Dust, the original title, which upon rejection by a publisher was rewritten by his agent and published in 1928. Pretty good for an early work, no stylistic excurses, straightforward reconstruction story as I recall a half century later. Sartoris is the first novel Faulkner located in Yoknapatawpha County where he would go on to set fourteen more novels. In it he introduces the Sartoris family but the Snopes are also present in this early novel. It seems that he began to find his own voice in this novel, improving over his two earlier offerings (Soldiers' Pay and Mosquitoes). He tells the story of a Southern family of the 'romantic' type, exhibiting chivalry and courage in a haughty and sometimes vain style. Bayard the younger, Sartoris is the first novel Faulkner located in Yoknapatawpha County where he would go on to set fourteen more novels. In it he introduces the Sartoris family but the Snopes are also present in this early novel. It seems that he began to find his own voice in this novel, improving over his two earlier offerings (Soldiers' Pay and Mosquitoes). Tenho por hábito nunca deixar de ler um livro até ao fim. Por vezes esta "norma de conduta" torna-se penosa e maçadora. Esta foi uma das vezes, ler Sartoris até ao fim foi um autêntico martírio! Uma leitura que nunca me prendeu, um enredo tenebroso e sem chama onde a narrativa nos cai "do céu" sem uma linha de orientação, sem o mínimo nexo aparente.. As 300 e tal páginas de Sartoris rapidamente se desdobraram para mais do dobro, tal a quantidade de vezes que voltava atrás e lia 2 ou mais vezes a Tenho por hábito nunca deixar de ler um livro até ao fim. Por vezes esta "norma de conduta" torna-se penosa e maçadora. Esta foi uma das vezes, ler Sartoris até ao fim foi um autêntico martírio! Uma leitura que nunca me prendeu, um enredo tenebroso e sem chama onde a narrativa nos cai "do céu" sem uma linha de orientação, sem o mínimo nexo aparente.. As 300 e tal páginas de Sartoris rapidamente se desdobraram para mais do dobro, tal a quantidade de vezes que voltava atrás e lia 2 ou mais vezes a mesma página..
Sei que há quem adore este tipo de literatura, aliás não é por acaso que Faulkner é prémio Nobel, mas para mim não dá! Definitivamente não é este o meu tipo de leitura. Continuo fascinada com a mestria com que Faulkner progride na narrativa das suas histórias e no absoluto domínio da prosa com que poeticamente vai descrevendo as personagens e situações. Absolutamente envolvente, coloca-nos no centro dos acontecimentos. I liked it, but it dragged a little towards the end, but then picked back up. I think I like Absalom, Absalom! and The Sound and the Fury more than I liked this one. Laikai po pirmojo pasaulinio karo 1918-19 m. Grįžta jo sužaloti vyrai, randa čia kaip priekaištą savo paliktus namus, aplestus gyvenimus, sudaužytas svajones. Iš po nusileidusios karo uždangos į romaną dvelkia liūdesys ir kančia. Apie karą Faulkneris daug nekalba, bet ta nuotaika jaučiama. Pradžia atrodė sujaukta, lyg žiūrėtum per kažkokius apdulkėjusius lęšius. Viskas nesufokusuota, kažkas kažką nereikšmingo veikia, kažko laukia. Vėliau žinoma viskas paaiškėja, tampa aiškios veikėjų linijos. Įs Laikai po pirmojo pasaulinio karo 1918-19 m. Grįžta jo sužaloti vyrai, randa čia kaip priekaištą savo paliktus namus, aplestus gyvenimus, sudaužytas svajones. Iš po nusileidusios karo uždangos į romaną dvelkia liūdesys ir kančia. Apie karą Faulkneris daug nekalba, bet ta nuotaika jaučiama. Pradžia atrodė sujaukta, lyg žiūrėtum per kažkokius apdulkėjusius lęšius. Viskas nesufokusuota, kažkas kažką nereikšmingo veikia, kažko laukia. Vėliau žinoma viskas paaiškėja, tampa aiškios veikėjų linijos. Įspūdis lieka geras. Faulkneris moka knygoje perteikti alokaciją, jo šviesos pojūtis ir mokėjimas aprašyti - romaną ekranizuoja, suteikia skaitančiam kino ekrano įspūdį. Personažų dialogai meistriški. Per jų ištariamas eilutes (tik žinoma, galvoje reiktų pamėginti išsiversti į anglų kalbą ir pridėti pietietiško akcento) galima pajusti veikėjų charakterius, vos ne išgirsti juos šnekančius. Tai čia buvo geroji dalis. Blogoji romano pusė ta, kad čia jaučiama panieka juodaodžiams, moterims, yra kažkokio pasipūtimo, kuris šiuolaikiniam skaitytojui jau tapo atgyvena. Bet šitai galima atleisti, juk vienaip ar kitaip kalbama apie dvidešimtąjį amžių, jo pradžią, pietinės valstijose, macho kulto kraštuose. Ko neįmanoma atleisti, tai paviršutiniškumo, įvykių nereikšmingumo, apkiautusio tingumo. Veikėjai pasyvūs ir bejėgiai pakeisti savo autoriaus sugalvotus jiems charakterius. Suma-sumarum – neįtraukiantis, be pradžios, bet vaizdingas romanas. Jis primena filmo pabaigą, kai pradeda skambėti muzika, ekranas rodo titrus, šviesos dar išjungtos ir žmonės, kurie jau norėtų stotis ir eiti lieka įkalinti tos pasibaigusio filmo nuotaikos. A fabulous introduction to Faulkner. He has already captivated me and I just can't wait to further advance inside the world he created. And this novel is not even considered to be one of his masterpieces! A few of the characters were 5 star characters but story bored me. Just never grabbed my full interest. Faulkner did bring some of the Snopes into this book but they were minor roles in the story. The Sartoris men seemed to be cursed with daredevil natures which caused them to tempt death and usually lose in a spectacular way. This doesn't compare with the epiphanic reaction to The Sound and the Fury in my adolescence. The cracks are clearer, and I am resentful of neat characterizations. Characters that stand out especially such as neurotic Quentin or tragic Benjy and melancholy Horace and wilful Bayard are evident examples. There is something irksome about the inevitableness of the fates of the characters that is staid or reverential depending on the reader's willingness to accept the credos of Mississippi. Yoknapata This doesn't compare with the epiphanic reaction to The Sound and the Fury in my adolescence. The cracks are clearer, and I am resentful of neat characterizations. Characters that stand out especially such as neurotic Quentin or tragic Benjy and melancholy Horace and wilful Bayard are evident examples. There is something irksome about the inevitableness of the fates of the characters that is staid or reverential depending on the reader's willingness to accept the credos of Mississippi. Yoknapatawpha County is masterly in its texture; it is thickly osmotic. Unlike fantasy worlds, the reader is not distanced by admiration for its quaintness; nor is it an isolated oddity like R K Narayan's Malgudi- a trigger and signifier for childhood or nostalgia. Yoknapatawapha County inclines you to respect and re-evaluate your preferences in an insidious bid to sustain its existence. Faulknerian descriptions of nature redound in their denseness. The casual racism inclusive of the caricatures does not strike the reader as a representation alone. The death drive of Bayard Sartoris is bound to his nature but typical of the clan of Sartoris as well. What difference between the aristocracy depicted here and in the Austen novels! It is hard to take a stand; you remain an impartial observer, keen to all the details. Aristocracy is sensitive to the masters and slaves. They take refuge in it to give themselves up-and the sanctuary it offers to impulses is part of the heritage of the family. In fact, Yoknapatawpha County reminded me of Marquez's Macondo in its attitude of delay. The flow of the place alone makes Sartoris an interesting work despite its severely baggy storylines. For me it is hard to believe that this and The Sound and the Fury are both written by the same man. Way too much artificial stretched descriptions, in my opinion lots of unimportant events while all I would have wanted to know more about are left out... Only at the end the book gets better, especially the time spent with McCallum family. I have read some other Yoknapatawpha stories some 30 years ago or so, dont remember much. I truly love THe Sound and THe Fury, have read it so many times and wil For me it is hard to believe that this and The Sound and the Fury are both written by the same man. Way too much artificial stretched descriptions, in my opinion lots of unimportant events while all I would have wanted to know more about are left out... Only at the end the book gets better, especially the time spent with McCallum family.